Gain even more savings by combining your flights and lodgings. Expedia has heaps of outstanding Pungarehu travel packages that'll save time and give you more money to spend! When you secure a package deal on Expedia, you can save as much as $200*. With more than 400 partner airlines and 321 000 properties worldwide, our extensive database can help get you where you need to be. Itinerary looking a little empty? Pungarehu holiday all booked but not sure what to expect when you get there? Let us give you a helping hand. Enjoy a stroll through Pukeiti and encounter its gorgeous blossoms. The garden beds have been carefully cultivated to have blooms year-round. Adventurers have an abundance of choice nearby. For generations, Cape Egmont Lighthouse has faithfully guided ships through darkness and unsafe waters. Head over to this endearing beacon and discover a few of its tales. Still have time to spare? Pick up some potato chips and a bottle of vino and spend an afternoon at Opunake Beach. It's one of the best spots in the area for a relaxing picnic. There are currently no Pungarehu properties listed on Expedia. However, Okato, some 7 miles (11 km) away, has a good selection of options on offer. The best options in Okato are the Ahu Ahu Beach Villas and Oakura Beach Holiday Park. New Plymouth Airport (NPL) is located 25 miles (40 km) northeast of the middle of Pungarehu. Claim your luggage, slide into the back of a cab and let the holiday begin! Take a detour off the coastal highway near New Plymouth, enjoy the spectacular scenery and explore a beacon of light that has been shining since the late 1800s. 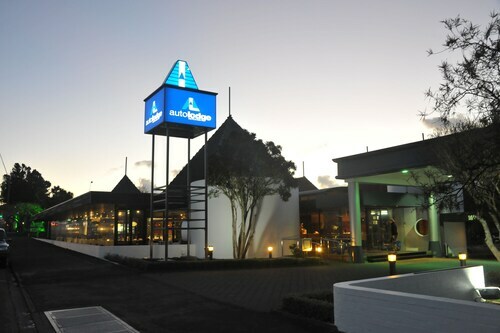 Situated in New Plymouth, this hotel is within a 10-minute walk of East End Reserve and Fitzroy Beach. Centre City Shopping Centre and TSB Showplace are also within 1 mi (2 km). Located in the heart of New Plymouth, this hotel is steps from Saint Mary's Church and TSB Showplace. Govett-Brewster Art Gallery and Centre City Shopping Centre are also within 10 minutes. Located in the heart of New Plymouth, this hotel is within 1 mi (2 km) of Centre City Shopping Centre, TSB Stadium, and Pukekura Park. Wind Wand is 1.1 mi (1.8 km) away. 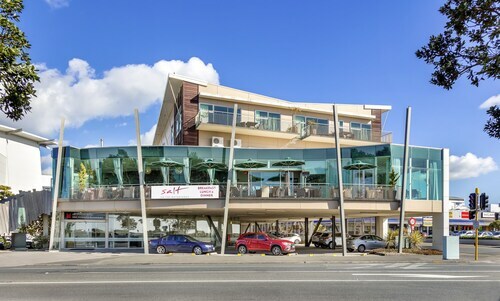 Offering direct access to the beach, this New Plymouth hotel is in the city center, steps from Puke Ariki and Wind Wand. Observatory and Pukekura Park are also within 1 mi (2 km). 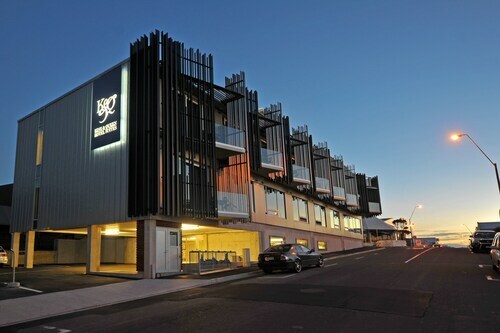 Located in the heart of New Plymouth, this luxury apartment building is steps from Centre City Shopping Centre and Wind Wand. 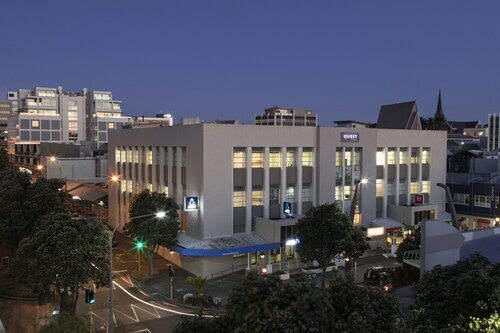 TSB Showplace and Puke Ariki are also within 5 minutes. 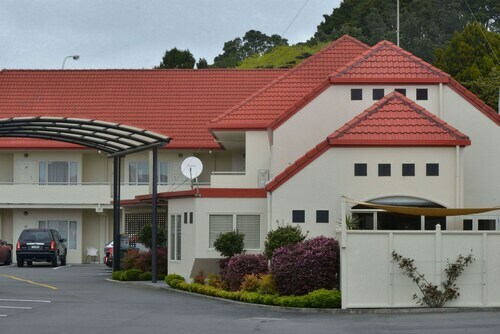 Situated by the ocean, this motel is within 1 mi (2 km) of Puke Ariki and Saint Mary's Church. Pukekura Park and Observatory are also within 2 mi (3 km). Situated in New Plymouth, this motel is within a 5-minute walk of Saint Mary's Church and TSB Showplace. Centre City Shopping Centre and Govett-Brewster Art Gallery are also within 10 minutes. 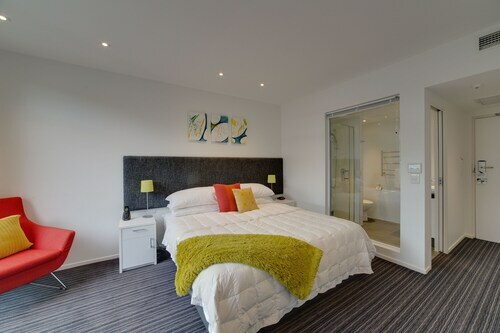 Located in the heart of New Plymouth, this luxury hotel is steps from Govett-Brewster Art Gallery and TSB Showplace. Puke Ariki and Saint Mary's Church are also within 10 minutes. Thu., 15 Aug. - Sat., 17 Aug.